Last month, our talented design team traveled to sunny Orlando to attend KBIS, where hundreds of influential brands come together each year to share and discuss innovative new products and trends in the kitchen and bath industry. 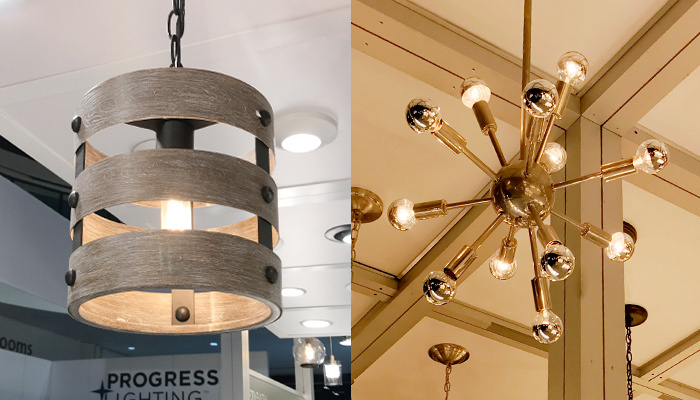 Here’s a glimpse at what caught our eye, and what might catch yours at one of our Home Gallery™ design centers! Want to shake up the traditional stainless-steel look? 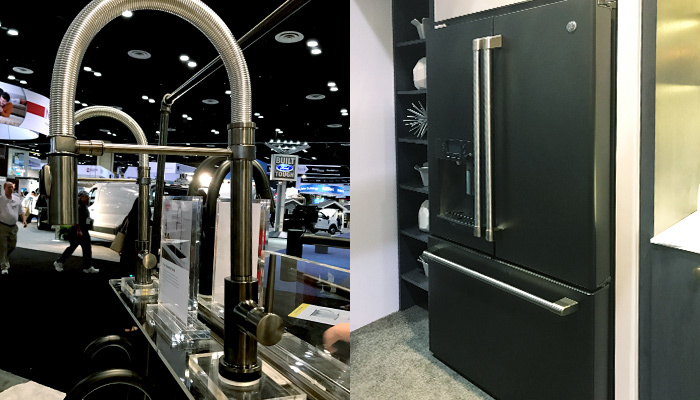 Look for the emergence of stainless-steel appliances available with sleek black finishes, like these KBIS snapshots of Delta’s® Trinsic Pro faucet and GE Appliances® Café™ refrigerator in black slate. As usual, Progress Lighting® offered up a dazzling display of new light fixtures. Wood-look designs and whimsical shapes showcased sophisticated alternatives to more traditional styles like the classic Fresnel™ pendant. 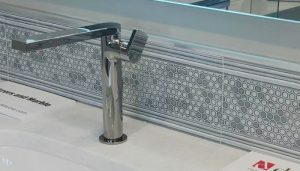 In typical fashion, our national vendor Daltile® displayed a variety of striking designs at KBIS, like this hexagonal-patterned series of tile strips—available this spring at Richmond American Home Gallery™ design centers! 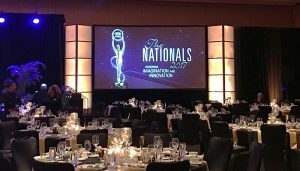 Our Las Vegas Home Gallery™ took home silver in the Best Design Center category at The Nationals™ awards, presented by the National Association of Home Builders®! 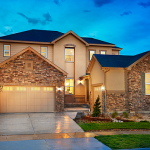 That’s a testament to the personal thought and care we put into giving Richmond American homebuyers a one-of-a-kind experience when designing the home of their dreams. Learn more about the Home Gallery™ process. Keep following our blog for the latest decorating ideas and home design trends!